I’ve never visited Belize, a hole in my travel game that I’ve often considered a crime owing to all that is decidedly uncommon there. Earlier today, though, I learned of an actual crime that’s going down in Belize right now that may keep me away forever. Allowing seismic testing for offshore oil exploration. That the Government of Belize should green light such a measure is worrisome enough on its own, considering the harmful effects such testing will undoubtedly have on the country’s fragile, and to-date, spectacular reef system, the second largest in all the world behind only Australia’s Great Barrier Reef (also in trouble as detailed here). Even more worrisome, though, is the fact that the Government of Belize apparently went ahead and allowed this to happen without consulting those who stand to loose the most as a direct result of the seismic testing – its own citizens! It has been a very sad week here in Belize. As a travel writer who has covered Belize for almost seven years and come to love it as my other home away from home, I am deeply saddened, and horrified about what it could mean for Belizeans and for the tourism industry if the Government proceeds with exploration and seismic testing. The reef is the livelihood of the majority of Belizeans. It’s also the number one reason tourists flock here – to indulge in the spectacular natural beauty of Belize above and beneath the water. And let’s not forget, tourism is the number one economy here. This seismic testing and blasting into the ocean floor will surely disturb and even kill marine life. 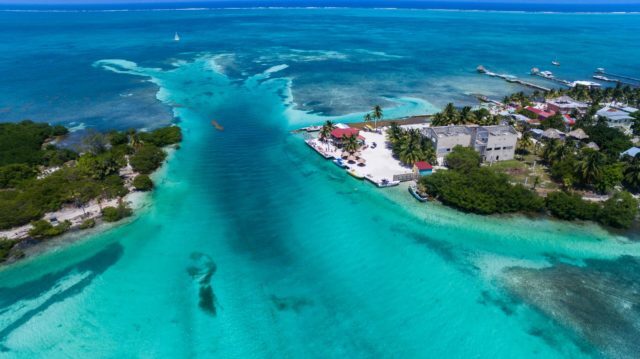 The worst part of this is that the Government didn’t even alert its people or tourism stakeholders before the ships arrived in Belize’s waters to immediately begin conducting seismic gun testing. It caught everyone by surprise and shock. The people of Belize are completely against oil exploration and drilling, and have a right to know what is being done around its reef. Today they stood up for themselves at a public meeting with the Government that was called for this morning due to public outcry. Last I heard, Belize’s Minister of Tourism said he would inform the public this afternoon on whether a stop order will be issued against the seismic testing. Belizean people are coming together as they did before – on February 29th, 2012, almost 30,000 Belizeans voted “NO” to offshore oil – and are demanding studies be done. No one is taking this lying down. Governments have to be held accountable. Could not agree with you more, Lily! To help the people of Belize keep their reefs and surrounding waters safe from offshore seismic testing, please sign this petition today. *Lead photo credit: Flickr user f. ermert. Last updated by Steve Bennett on 04/02/2018 .